OVERKILL has been rather tight-lipped on their forthcoming co-op FPS title, The Walking Dead. In fact until recently, all we knew about the game was that it involved zombies and supported some kind of co-op, but no idea how many players or if it was just "PAYDAY with zombies" or what. On Monday, the Swedish developer shed a little bit of light on it all. The game will feature four player online co-op throughout the main campaign. Each player will assume the role of one of four playable characters (the first, Aidan, is shown off in the new trailer) and each one will have his/her own unique abilities and progression via a skill tree. In a way, this doesn't sound too dissimilar to the different classes (Mastermind, Enforcer, Ghost, Technician, and Fugitive) from PAYDAY 2. Zombies won't be the only threat the survivors face, either. 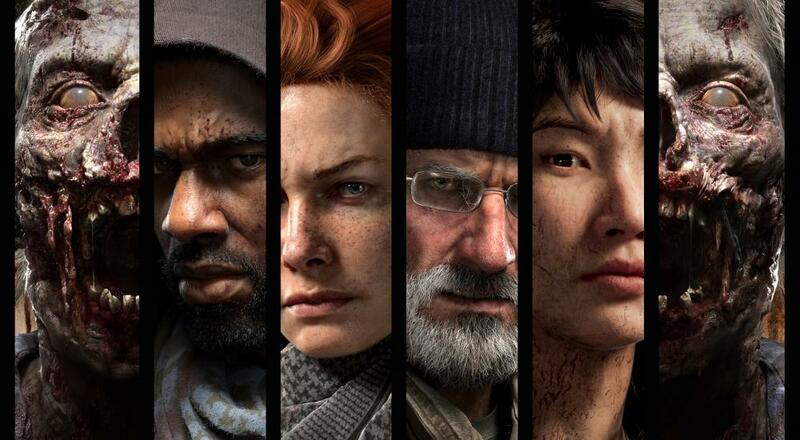 In the press release, the developer states, "players will band together with up to three friends on a variety of missions and raids, securing supplies and survivors to strengthen their base camp against the threat of both the dead and the living - by any means necessary." One of the themes in Kirkman's graphic novels is exploring how different groups of people reacted to the events of the zombie apocalypse, and then pitting those different ideologies against one another. While it seems unlikely that OVERKILL's The Walking Dead will go into the same kind of philosophical deep-dive, it's nice to know that they are pulling in non-zombie threats. OVERKILL's The Walking Dead is slated for a Fall 2018 release on the PC, PlayStation 4, and Xbox One. Page created in 0.8283 seconds.